How to the find the perfect engagement ring. Gentlemen, it’s not as hard as it seems. Congratulations, you’ve found the love of your life. 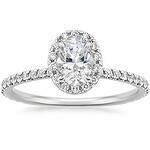 Now, you want to impress her with the perfect diamond engagement ring. Or, perhaps, you’re looking to reaffirm your commitment with a one-of-a-kind anniversary ring. There’s only one problem. If you’re like most guys, you have very little experience purchasing diamonds. Where do you start? How much do you spend? What do you look for? How do you compare diamond engagement rings? The questions are many and they all add up to one rather timeless gentlemen’s dilemma – how do you know you’re making the right choice – the one she’s going to love for the rest of her life? You’ve probably heard about them somewhere along the way. The 4C’s are the defining attributes every diamond shares based on guidelines developed by the Gemology Institute of America (GIA). 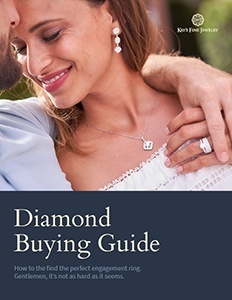 They’re also some of the most important features you’ll need to understand to make the right diamond purchase. The 4C’s are: Color, Cut, Carat and Clarity. It’s important to note that these attributes are used to grade “white diamonds”, the most precious of all diamonds, and the traditional centerpiece of most engagement and anniversary rings. The 4Cs essentially set the value, and therefore, help determine the cost of white diamonds. Understanding how they work together will help you make an educated decision. It’s important to remember this is not just about dollars and cents. 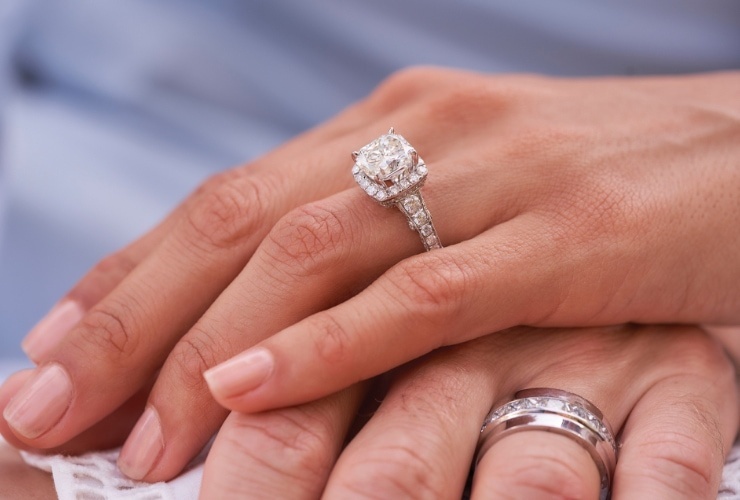 Purchasing a diamond ring is about finding the right stone at the right price. It’s about appealing to her personal preferences in a way that leads to both an intelligent purchase and a lifelong symbol of your love. Settling on a carat range for your purchase is a good launch point for your diamond journey. The carat weight is essentially the size of your diamond and will have a great impact on its price. 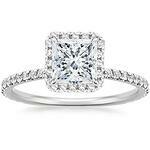 However, determining a carat range isn’t just about cost. It’s also about recognizing the expectations and hopes of your beloved. If you’re just starting out in life, perhaps your fiancé would be more than happy with a smaller diamond of around .5 to 75 carat, as the money you save can be used on a home, travel or a matching diamond bracelet! If you’re celebrating a milestone anniversary, however, you might want a rather sizeable symbol of your years together, perhaps, a diamond anniversary ring between 2 and 3 carats. There is no right or wrong answer when determining carat size. It’s an entirely personal decision. It’s also important to note that size alone is not the sole determining factor in a diamond’s value. Color, cut, and clarity are also important factors. If you’re unsure of her expectations, ask her sisters or friends. Chances are they’ll be able to point you in the right direction. Remember, if she’s expecting a one carat ring, then even the most exquisite half-carat diamond engagement ring probably won’t be the one of her dreams. 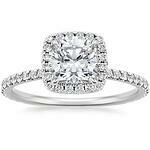 Consult the experts at Kay’s and we’ll work with you to find a way to make her diamond dreams come true. Make sure your diamond dealer sits down and talks with you about your needs before discussing a purchase. A reputable expert will often start with your desired stone size and once that’s settled discuss other diamond attributes that impact cost. At Kay’s, we tend to suggest color over clarity, as stones higher on the color grade tend to hold their value better. Remember, clarity is graded from a 10x loupe, so imperfections cannot be detected with the naked eye. In other words a slightly lower clarity grade won’t be noticeable, except in the price. You’ll save a lot. Let us show you how. Surprise! We’re going to break away from the 4Cs for this next determining factor – diamond shape. First, it’s important to state that “shape” has nothing to with the GIA’s definition of “cut”, a common misconception. 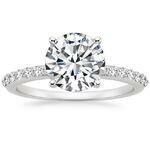 Shape is an entirely personal preference, ranging from the traditional Round Brilliant Cut to the classic Princess Cut to the more avant-garde Cushion Cut. Unlike the 4Cs, the shape of a diamond does not factor into a diamond’s inherent value. The right shape is whichever one she likes best, or, if you’re making the decision, the one you think represents her unique personality the best. Each diamond shape possesses its own beautiful qualities. Here are some of the most popular worth considering. This is the quintessential diamond cut, boasting an intense array of facets that radiate with stunning brilliance. The Round Brilliant is the most popular of all diamond shapes, so if you’re looking for a traditional classic, you can’t go wrong with this diamond shape. This timeless classic resembles an inverted pyramid. Light reflects off its corners with exquisite elegance. This shape boasts a strong sense of tradition but also has a modern and somewhat flirty twist. The pronounced rectangular facets of the emerald cut showcase the diamond’s original clarity. However, on lower graded stones, they can also make inclusions and colors more apparent. The emerald shape described in one word… GLAMOROUS. If she exudes confidence and self-assured charm, this is certainly a shape worth considering. Guys, this shape is often compared to a football. But if you want to know the truth, the Marquise came about in the 18th century when King Louis XV of France (1710-1774) instructed a jeweler to create a cut that would imitate the lips of his mistress, Jeanne Antoinette Poisson. This longer and narrower cut creates the effect of longer and more slender hands and fingers, which makes it a popular choice for rings. Some say this is the perfect cut for outgoing personalities. The Cushion gets its name from its distinctive “pillow” shape. 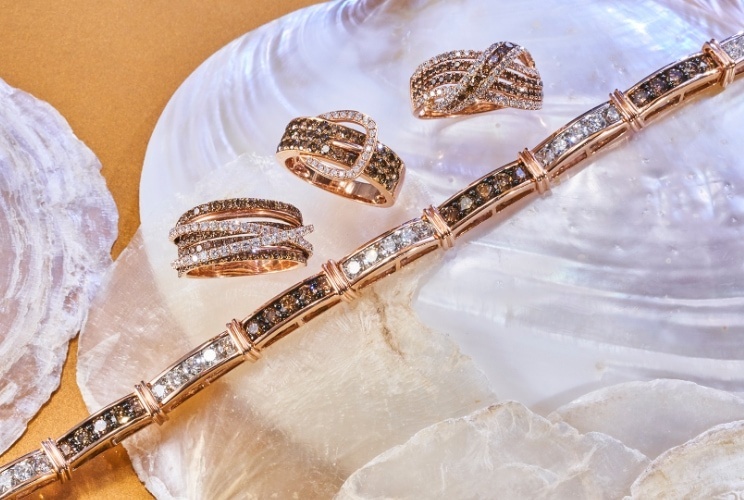 These diamonds tend to have impeccable brilliance thanks to their larger facets. Cushion cuts can be found in both oval and rectangle shapes. This shape was popularized more than a century ago, when Neo-romanticism was on the rise. Today, it remains a fashion forward statement known to exude romance. Combining round and marquise cuts, this teardrop shape tends to deliver maximum brilliance. It’s also slimming on hands and fingers making it an ideal choice for diamond rings. The pear diamond is not as commonly used as other shapes, so it’s the perfect choice for someone who possesses an adventurous sense of style. Known for its stunning sparkle and captivating curves, the oval borrows its facets from the round brilliant cut. A favorite choice for all types of jewelry – especially engagement rings. The oval shape is said to be a great choice for creative and artful personalities. 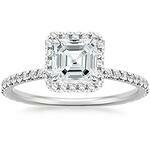 This stone resembles the emerald cut; however, it’s square in shape rather than rectangular. Introduced in the 1920’s, it’s found its way back to the forefront of fashion. This shape resembles the era it originates from, one in which women broke away from traditional fashion. This unique cut is for a vintage lover who gravitates towards a chic and bold style. A Radiant diamond is more difficult to find than other diamond shapes, and, therefore, is not commonly used for engagement rings. This diamond gives off a beautiful and elegant look because of its balance between a Cushion Cut and Princess Cut diamond. This rare shape is for a confident woman who does not shy away from statement pieces. Just ask her. This is a personal decision, let her make it. Rest assured, she has her preferences and will be glad to share them. Once again, ask her family or friends if you’re unsure on her preference. 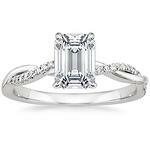 If you’re uncomfortable asking, go with the Round Brilliant or Princess Cut as these are both timeless classics. Because they are the most popular, Brilliant Round diamonds can be priced higher than equivalent diamonds in different shapes. 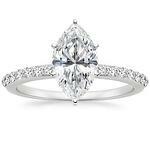 If cost is a major issue, you might want to explore different shapes, such as Ovals or Marquise. The cut of a diamond describes its unique finish, polish and the exactness of its angular proportions and overall symmetry. It’s a key element in determining its value and cost and, therefore, is one of the most important factors in choosing a diamond. The GIA Cut Scale rates diamonds from “Excellent” to “Poor”, assessing the precise positioning, shape and angle of a stone’s individual facets. 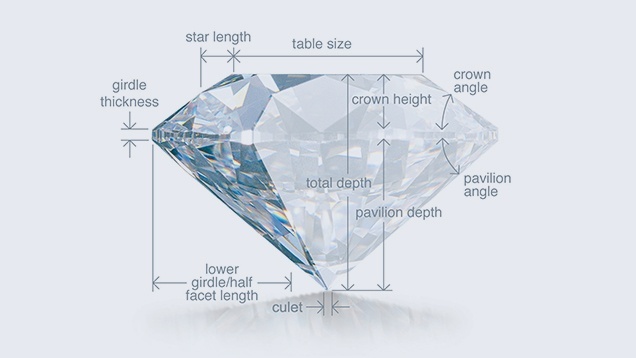 A diamond’s proportions and symmetry are what define its relationship to light. In essence they determine three things. One, the diamond’s “brightness”, which grades the way white light reflects off its surface and from within its interior. Two, its “fire”, which describes those incredible flares of color diamonds emit. Three, “scintillation”, which relates to the sparkle that occurs when a diamond is turned, or when light is changed, or even when the observer moves around a diamond. Never go below “Very Good” for a Brilliant Round Diamond, or “Good” for a fancy cut diamond. Make sure grading based on GIA standards or other well-recognized Independent Laboratories such as HRD, and EGL. Note that a well-cut diamond can possess a lower “color” grade (discussed below) and still appear quite beautiful to the naked eye. There may be significant differences in cost between “excellent” and “very good” rated diamonds. However, the difference in appearance may be impossible to distinguish with the naked eye. Step Four: How Much Color If Any? Though most novices think of white diamonds as colorless, this is rarely the case. Most diamonds possess some hints of yellow or brown. The closer it is to colorless, however, the more valuable the diamond. Like most diamond attributes, determining the color usually comes with a little give and take. If you want a truly colorless diamond, you’re going to pay a premium. But there are things to consider, from the ring’s setting to diamond shape, that can play a big role in the stone’s “color” appearance. The GIA Color Scale rates diamonds from D, entirely colorless, to Z, a diamond said to possess a light color. There are a few tricks to determining which is right for your fiancé or wife. If at all possible steer clear of any diamonds rated below M on the GIA scale, as they are likely to possess visible discoloration. While D is the highest grade, there will be virtually no difference to the naked eye between D, E and F diamonds. But there will be a difference in price! For the best values in diamonds that appear colorless to the naked eye, look for stones ranging from G to J on the GIA Color Scale. Ring settings can impact the perception of color. For example, a yellow or rose gold setting can make a K diamond appear colorless. Color is easier to detect in larger diamonds. So for anything above 1 carat, try not to go lower than K on the GIA Color Scale. Once again, gentlemen, this an area that requires your ability to negotiate the nuances. The GIA has established a Diamond Clarity Scale that features seven diamond grades. They range from “flawless diamonds” to those that have imperfections known in jewelry terms as “inclusions”. These inclusions happened ages ago as the diamond was being formed under tremendous heat and pressure. Nonetheless, they’re something you’re going to have to consider when selecting your diamond today. Only one in 5000 diamonds is considered flawless. They are extremely rare and, therefore, extremely expensive. Unless you’re looking for an investment piece, there’s really no need to consider flawless diamonds, particularly if this is your first purchase. You’ll find perfectly beautiful diamonds with no “visible” inclusions further down on the GIA Scale. It’s important to weigh clarity against other diamond attributes, particularly carat size, to determine the right diamond engagement ring. It’s all part of searching for that lifelong symbol of your love. Diamonds graded SI1 and SI2 are popular choices as their inclusions are difficult even for a diamond expert to see under 10x magnification. Nearly half of all diamonds purchased fall into this range due to the ideal combination of value and beauty. If size is a more important factor than clarity, explore I1 diamonds. While inclusions may be visible, they will be slight and the savings will surely allow for the purchase of a larger stone. The larger the stone, the easier it is to detect imperfections. For diamonds 2 carats and up a grading of SI1 or higher is the safest bet to avoid visible inclusions. For 1 carat diamonds, you can find SI2 diamonds with no visible inclusions. Clarity becomes the least important of the 4Cs for diamonds below 1 carat in size. You definitely don’t want her diamond engagement ring slipping off her lovely little finger. You also don’t want it squeezed on too tight she can’t get it off. Women’s rings range from sizes 3 to 9, with 6 being the most popular. But that really doesn’t mean anything to you right now. You need to find her exact size and there are a couple of ways to make sure you get it right. Download our free ring sizing guide (link). It’s an easy do-it-yourself way to determine ring size. If you don’t want to involve your fiancé. Ask a sister or a friend to help. They’ll find a way to get you the information without giving away the surprise. Just when you thought you knew everything there is to know about diamond engagement rings, we bring you Fancy Color Diamonds. These are diamonds that exhibit color beyond the “Z” range dictated by the GIA, and can range from brilliant yellows to dazzling pinks to deep greens and dreamy blues. Fancy Color Diamonds have become extremely popular, particularly as vibrant enhancements to traditional engagement rings. Many designers are incorporating them into bands or using them to create a “halo” of color surrounding a brilliant white diamond. Even celebrities such as Heidi Klum, Mariah Carey and Jennifer Lopez have shown off their fancy color diamond rings in recent years. What’s more, the most valuable gemstone ever auctioned off was a Fancy Color Diamond! In April of 2017, the “Pink Star Diamond”, a stunner weighing in at an incredible 56.60 carats was sold to the highest bidder for an astonishing $71.2 million. Don’t worry, you’ll find spectacular options for a whole lot less. How? For starters, go ahead and toss all the rules you learned for white diamonds. They no longer apply. Fancy color diamonds are graded on three attributes. Hue is the diamond’s color. Tone is the brightness of the color. Saturation is the strength of the color. As you can see, it’s all about color. The one attribute fancy color diamonds share with white diamonds is that rarity plays a role in price. The rarer and purer the color, the more expensive the stone. For an engagement ring, the most popular use of fancy color diamonds are as accents to a centerpiece white diamond. Though, more and more adventurous women are opting for a fancy color diamond as their showcase stone. It’s really all a matter of preference, but fancy color diamonds are certainly worth looking into for anyone interested in a truly unique and vibrant engagement or anniversary ring. Go Natural! Some jewelers will try and pass of “manufactured” Fancy Color Diamonds as Natural Fancy. 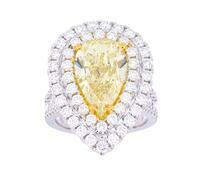 There is a vast difference in pricing between a Natural Fancy Yellow Diamond versus a heat-enhanced Yellow Diamond. The same goes for Fancy Brown Diamonds. At KFJ, we are proud to only source and work with Natural Fancy Pink, Natural Fancy Yellow, and Natural Fancy Brown Diamonds. It’s all about the color. The most valuable fancy color diamonds are Natural Pinks, and Natural Greens with Yellows. But it is all a matter of personal preference. Just remember, the purer the color, the better. Only trust a reputable jeweler. Fancy color diamonds are not graded or priced with the kind of clear guidelines given for white diamonds. Shop with a jeweler you trust to provide an accurate assessment and a fair price. At Kay’s Fine Jewelry, we are one of the world’s leading authorities on fancy color diamonds. For more than 30 years, we have provided our family of customers with stellar service and outstanding value. See what our customers have to say about Kay’s Fine Jewelry and discover why we are the place for fancy color diamonds and all your jewelry needs. We hope this quick lesson in diamonds helps you shop for the perfect diamond engagement ring or anniversary ring with a little more confidence. At Kay’s Fine Jewelry, we consider our customers family and have made it our commitment to treat them as such since we opened our first store in 1989. You can explore our complete collection of diamond engagement rings online at kaysfinejewelery.com. Or, contact one of our expert designers to talk about creating a one-of-a-kind custom diamond ring. Kay’s Fine Jewelry offers an unrivaled collection of diamond possibilities and we are one of the world’s foremost leaders in sourcing and pricing fancy color diamonds. It would be our great pleasure to help guide you through this exciting purchase and become your family jeweler for generations to come. A diamond engagement or anniversary ring is a very special purchase! 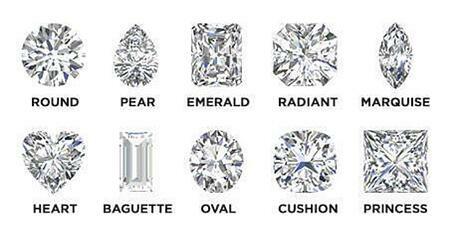 Use this guide to help you evaluate the different diamond cuts, sizes and colors so you can choose the perfect ring. You will also get a guy-friendly cheat sheet you can take with you when you go shopping.